Libertad is the Spanish word for Freedom. In 1982, the Mexican Mint started to produce the Mexican Silver Libertad 1 Onza Bullion Coin for investors and collectors. 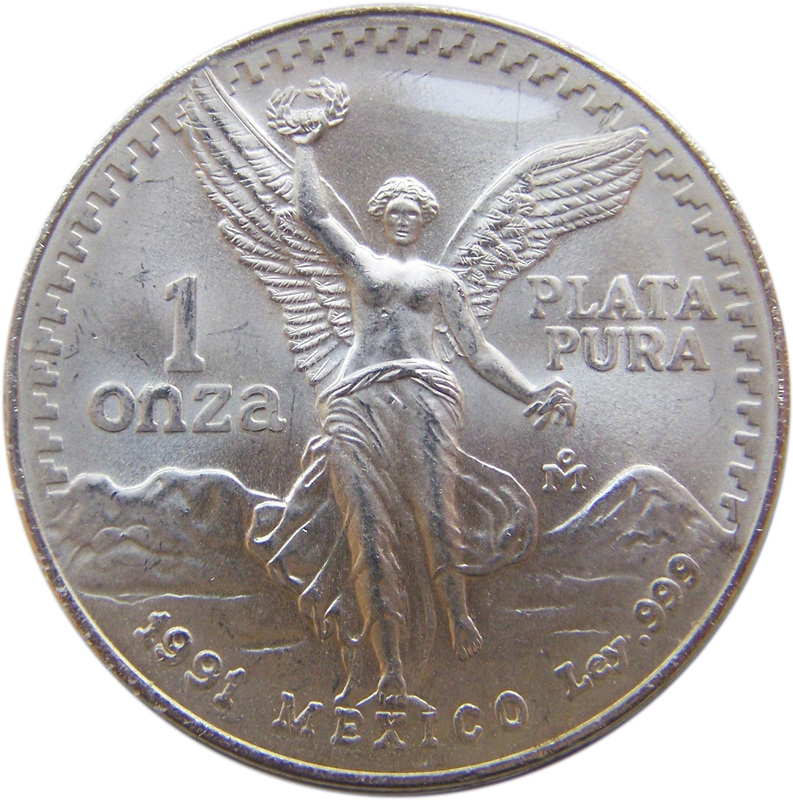 From 1982 to 1996, the Mexican Silver Libertad Onza portraited the same design as the Centanario “Winged Victory” Angel design taken from Mexico’s 50-peso gold bullion coin. In 1996, the Silver Libertad Bullion Coins changed the reverse side of the coin to the current “Winged Victory” design. El Ángel de la Independencia or The Angel of Independence design on the Mexican silver bullion coin represents the famous statue of Winged Victory. The famous Mexican statue is located on a roundabout in the Paseo de la Reforma in downtown Mexico City. 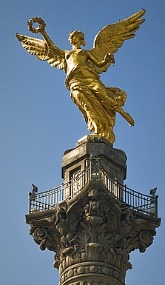 “El Angel”, as the statue is commonly known, holds in her right hand a laurel crown, symbolizing Victory, while in her left hand she holds a broken chain, symbolizing Freedom. El Angel was built in 1910, to commemorate the Centennial of the beginning of Mexico’s War of Independence. The Statue is made of solid bronze and covered in 24k gold, it weighs 7 tons. The Angel of Independence is one of Mexico City’s most recognizable landmarks. 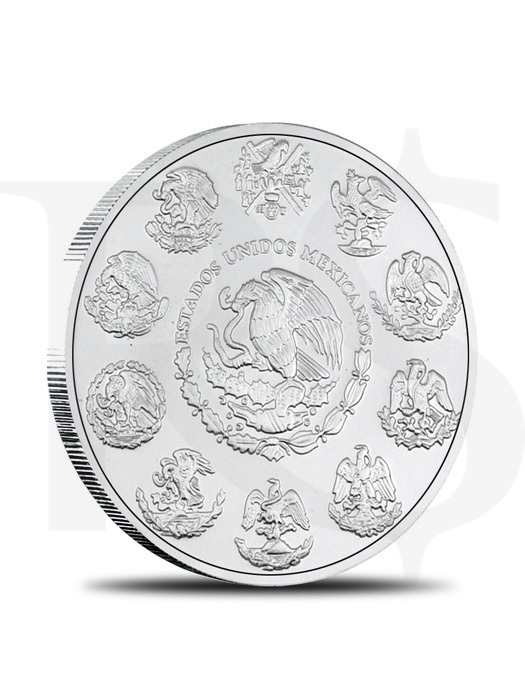 The Center of the silver bullion coin features the National Coat of Arms of Mexico. The coat of arms depicts a Mexican Golden Eagle perched upon a cactus with a snake in its beak. Encircling, Outside of the Mexican Coat of Arms are the reproductions of various Coat of Arms used throughout Mexico’s history. The reverse side of the 1 oz. Mexican Silver Libertad bullion coin features the “Winged Victory” angel design. The angel is depicted as towering above volcanic mountain peeks of Popocatépetl and Iztaccihuatl. The volcanic peaks memorialize the legend of two lovers for whom they were named. Inscribed along the top of the 1 oz. 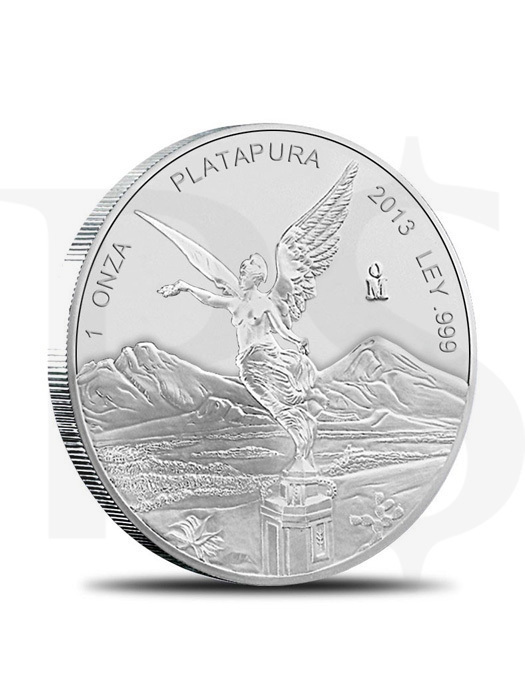 Silver Libertad bullion coin is “1 ONZA” (one ounce), “PLATA PURA” (pure silver). The year of issue is also inscribed along the top of the coin, along with the word “Ley” (pure) “.999” representing the silver purity of the coin. The Mexican silver bullion coins do not have a face value. At current market price (USD$1669/ozt), be prepared to fork out at least USD$536,880 for a piece of the art. That’s approximately RM1.665 million.